Offering you a complete choice of products which include customized compressed asbestos fiber jointing sheet and compressed asbestos fiber jointing sheet. 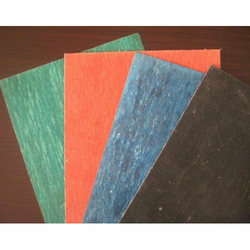 We are the Leading Manufacturer of Customized Compressed Asbestos Fiber Jointing Sheet. We provide the solution of all industries where there are use of Asbestos. We also do Customized demand as per buyer need. We are offering Compressed Asbestos Fiber Jointing Sheet.